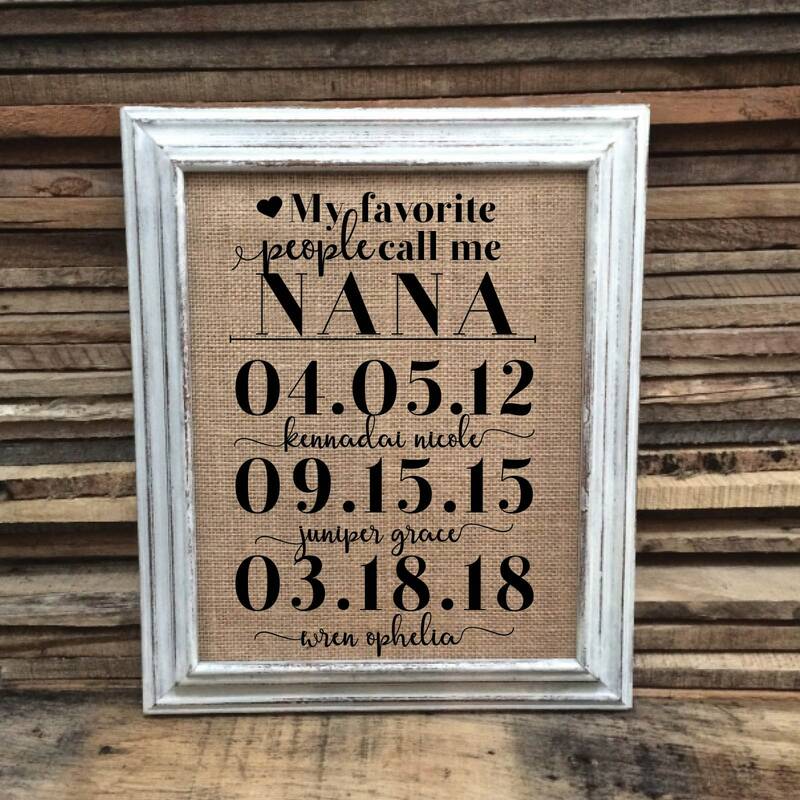 Nana may be changed to Grandma, Momma, Mom, Dad, Daddy, Grandpa, Papa, Pops, or your family's special name for that person you love! For 8x10 Prints: Choose from an 8x10 frame (no mat) -OR- an 11x14 frame with a mat for your 8x10 print. This fabric has a rustic look and feel and may have irregularities which add to it’s charm. 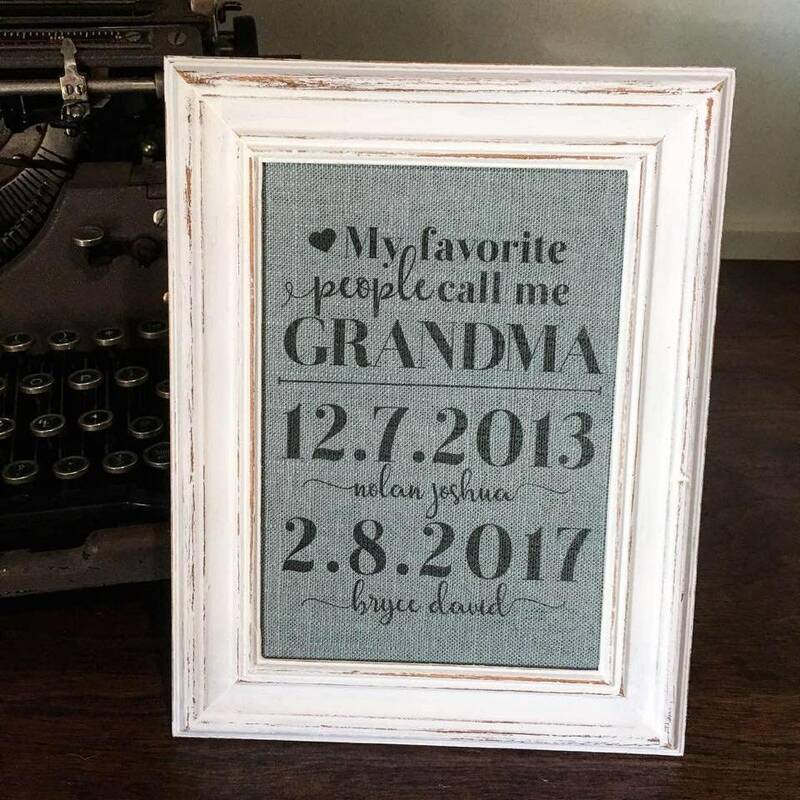 Burlap fabric is not recommended for this 5x7 print due to it's small text.